We're happy to welcome Liv to the Live Work Germany team who will be adding some much needed diversity to the Blog! An Australian writer based just outside of Kiel, first up she is sharing her experiences of life in northern Germany, especially given how it's often forgotten amid the typical German (well actually, they're Bavarian) stereotypes and the allure of Berlin, Munich and Frankfurt as international cities. All photos are copyright of the author, Liv Hambrett, and may not be used without her permission. 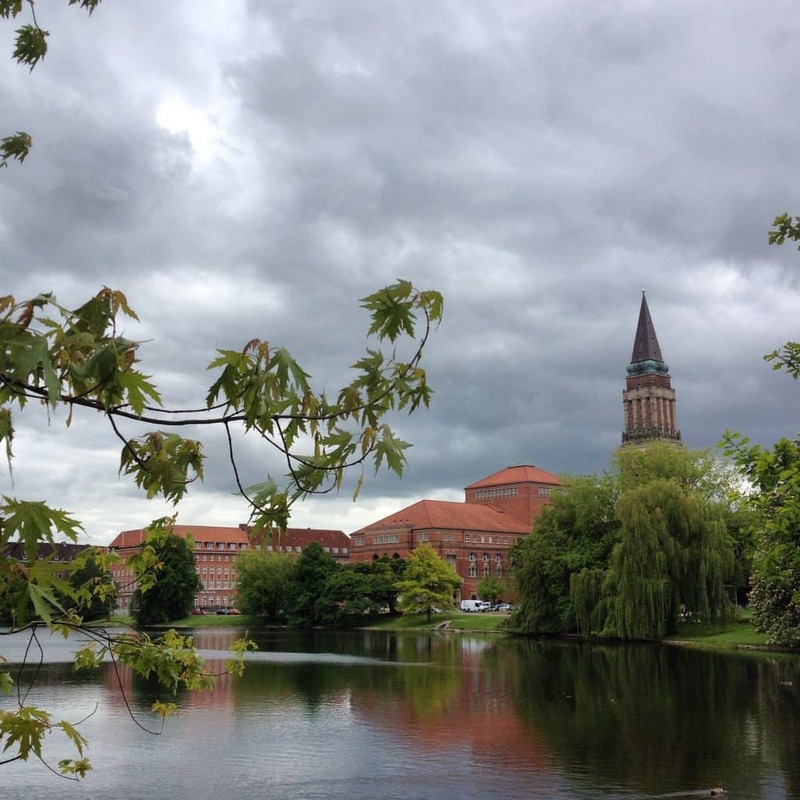 My German career began in Münster, a city of students, bikes and steeples in North-Rhine Westphalia. After eighteen months of Hochdeutsch and trying to penetrate the unique Münsteranian, well, Münsteraninanness, I found myself in small-town Bavaria, thirty minutes from the Czech border. My rudimentary grasp of Hochdeutsch was rendered useless, and I swam in an increasingly confusing sea of Oberpfälzisch (which is not Bayerisch, lest you think it would be) a dialect deserving of its own Leo dictionary. My one consolation was my German husband’s utter refusal to deal with the Oberpfälzisch people based on even his own inability to understand them. After a couple of years of Haxe, Schnitzel and daytrips to the Czech Republic, we relocated to the north of Germany, my husband’s Heimat and one that would soon become my own. Kiel and I first began getting acquainted in the early days of 2011, introduced by our mutual friend, my then-boyfriend, now-husband. Chugging up to northern Germany from Münster of a weekend revealed how desperately I missed the sea and all things associated with coastal dwelling; it also revealed there was a whole other Germany that I knew nothing about. I recall my roommate, upon learning of the existence of my new German beau, saying something about how “different” the north Germans are, but not really being able to appreciate what she meant. Now, years later, settled in Schleswig-Holstein and wedded to the Baltic, I know exactly what she meant. (And I understand why my extremely north German husband had no desire to be in the Oberpfalz). North Germans are different, and their homeland is different; of both these things, they are inordinately, stubbornly proud. These people are wedded to the sea, their land as flat as a tack. They won't necessarily greet you on the street as if you've known each other forever like, say, a Bavarian might. Instead, at a maximum, they'll nod and bark out a crisp ‘Moin' and leave it at that. This is because north Germans pride themselves on forging genuine friendships which, once forged, will withstand any kind of weather. They'll take a slow burn get-to-know-you phase over the (as they see it) superficial-greet-in-the-street ways of other Germans. North Germans are also extremely environmentally-minded. They're long-time leaders in renewable energy technology. The city of Hamburg has banned coffee pods in many of its council buildings, and in Schleswig-Holstein you'll find an extraordinary, one-of-a-kind animal park dedicated to bio-diveristy in domestic species. They have breeds of sheep, goats, cattle and other farm animals dating back to the middle ages. North Germans are brisk, no nonsense, rain-embracing people with a dry sense of humour, absolutely no time for small talk that extends beyond Moin and at least four types of jackets for every season. 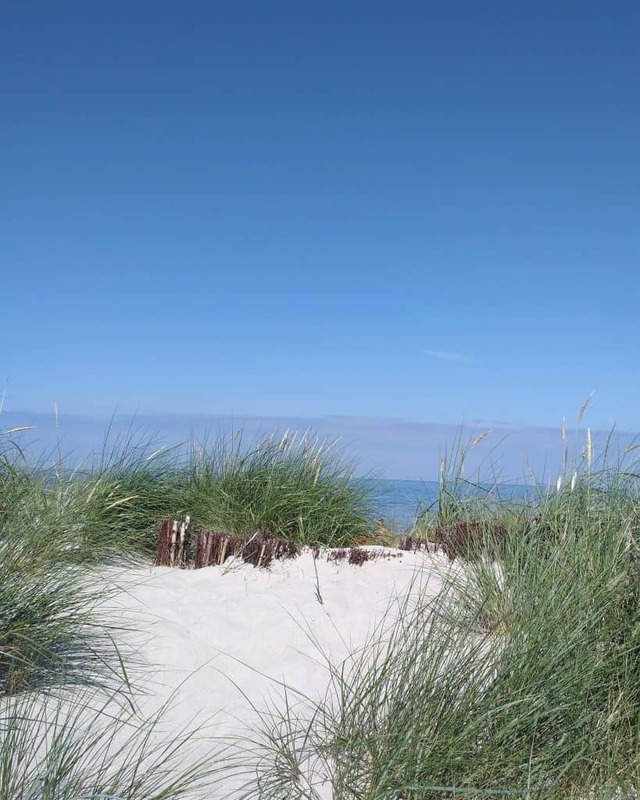 A beach on Schleswig-Holstein's Baltic Sea coast. But before we dig further into what makes north Germans so very different to their country-fellows, we must first understand where north Germany actually is, and what parts of the country comprise it. Defining “the north” throws up some obstacles we must both nimbly hop over and view as an integral part of the discourse in northern Germany itself. You see, just one of Germany’s fifteen states counts itself as The Real North (der Echte Norden, just ask its tourism board) and in doing so makes it known the other northern states are, while, yes, north, not quite north enough. That state is Schleswig-Holstein and it’s my home. 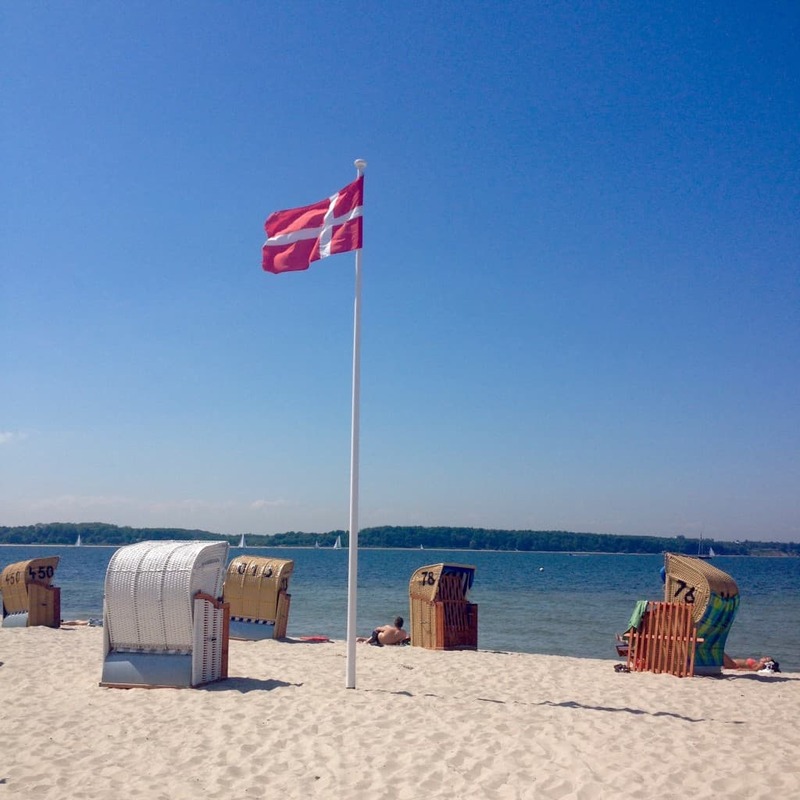 Sandwiched between the North Sea and the Baltic Sea coasts and bordered by Denmark, Schleswig-Holstein has just shy of 3 million people and, courtesy of its bumpy history, about four different additional names (one for the Danish, one for the Old English, one for the North Frisians and one for the Plattdeutsch-speaking Germans). 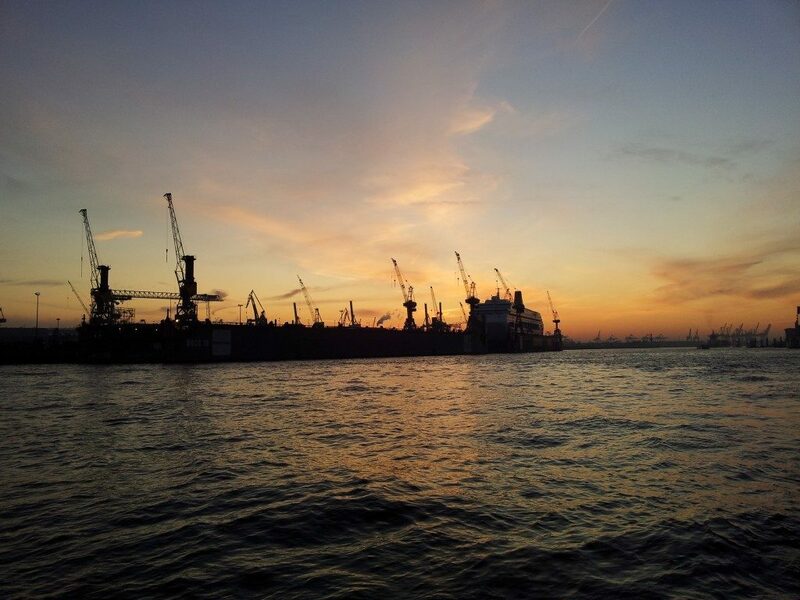 Its capital city is Kiel, a port city of nearly 300,000 people, a lot of cruise ships, shipyards, sailboats and seagulls. It also has the busiest man-made canal in the world, which links the North Sea with the Baltic Sea, and Germany’s naval base. It was a member of the Hanseatic League (along with, among others, Hamburg, Bremen and Lübeck) until it was thrown out for harbouring pirates. 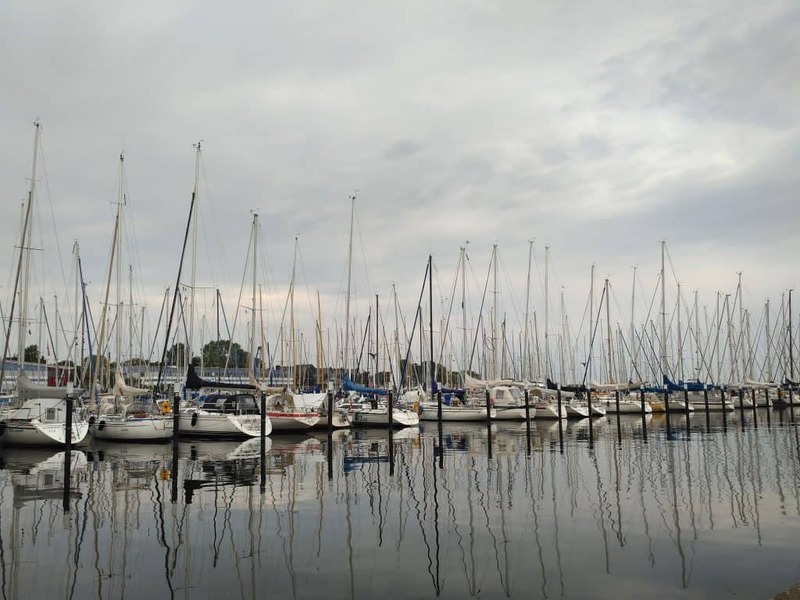 Boats moored in Schilksee, Kiel. Lübeck and Flensburg are Schleswig-Holstein's other cities of note, although the latter isn't really a city (around 90,000 people). It is, however, notable for being the final town in northern Germany before the Danish border and for being home to Germany's Danish national minority. It's about as north as you can get. Flensburg has its own harbour and university, produces the region's most famous beer and is very, very pretty. 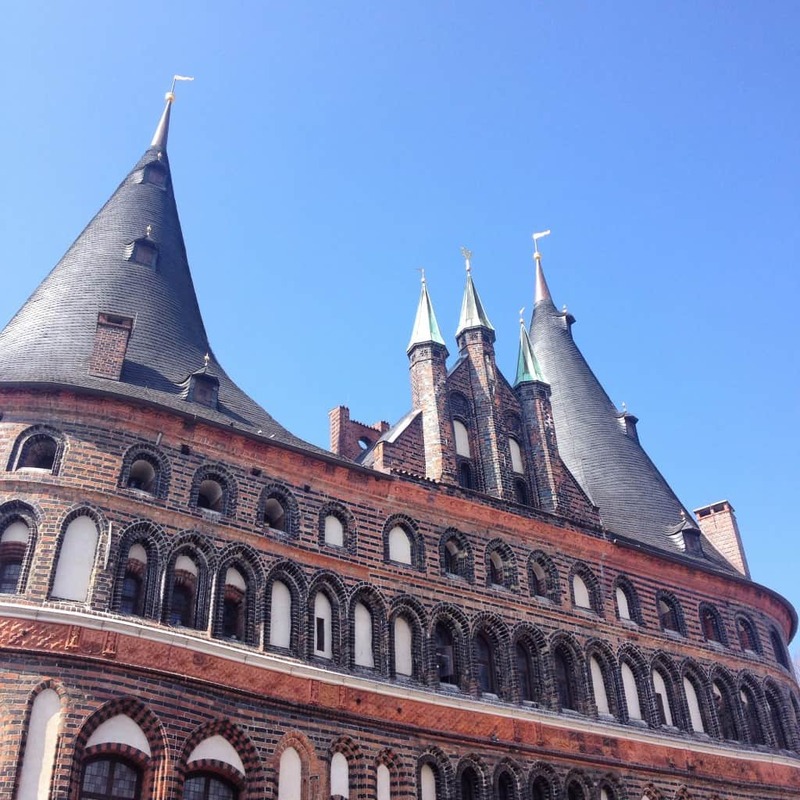 Lübeck, unlike Kiel, wasn't compeltely flattened during WW2 and so retains its stunning Gothic Altstadt, the gateway to which is the UNESCO World Heritage Listed Holstentor. As a leading member of the Hanseatic League, Lübeck has a long history of trade and remains one of Germany's key ports. It's also very, very good looking and rather famous for its marzipan. To the east of Schleswig-Holstein lies its main competitor of northern-ness, Mecklenburg-Vorpommern. Meck-Pomm has even fewer people and even more space, and its Baltic Sea coastline is longer, more rugged and, if you ask the Meck-Pomm loyalists, more beautiful. Meck-Pomm can also lay claim to Germany’s biggest (but not poshest, that title belong to Sylt) island, Rügen. Several other, smaller islands dot Meck-Pomm's coastline, making it a popular summer destination. The border it shares with Poland is lushly forested and, rumour has it, home to wolves. However, Meck-Pomm’s former status as a former East German state means that much of its culture is wedded to the east, and most Schleswig-Holsteiners would raise an eyebrow or two at the mere consideration of Meck-Pomm as Germany’s “north”. South of Schleswig-Holstein is Niedersachsen (Lower Saxony) a much bigger, much more populated state that winds its way down almost to the centre of Germany. Its claim to being northern Germany is bolstered mainly by its possession of islands (which are the East Frisian islands) and a decent stretch of North Sea coast. East Frisia itself is worth a mention as a contender for sharing the northern crown, but frankly they are the East Frisians and I think they’d rather be known as such and not lumped in with anyone or thing else. Then there’s Bremen (and Bremerhaven, which lies 60km north of Bremen) which together comprise the Free Hanseatic City of Bremen, which is actually a state. Bremerhaven (Bremen Harbour) sits at the mouth of the Weser River, which itself runs into the North Sea, and has long been an important point for trade. Bremen is the great beauty of the two, and as a Hanseatic City can confidently count itself as part of Germany's north – although it is missing a proper coastline and thus the whipping sea breeze that can turn your bones to ice. Of course, one would be remiss to omit the city state of Hamburg from the conversation. Hamburg – full name Free and Hanseatic City of Hamburg – Germany’s pearl (a name it has given itself) is the country’s most famous north German city, and the one that gets all the press. It’s beautiful, wealthy, Germany’s second-largest city, and sits pretty on the banks of the Elbe. Its harbour is the second largest in Europe and its history, visible in the grand architecture it’s known for, is awash with lucrative trade alliances and merchant wealth. It claims the Fischbrötchen – north Germany’s most iconic food – as its own and acts as if it invented ‘moin’ (the typical north German greeting, and the most northern of all north German words). As with most things concerning Hamburg, it’s better to just let them think that’s the case and rest smug in the knowledge they might have a river, but they don’t have a sea. To be continued in Part 2: sailing, fish, Vikings, submarines and learning how to speak like a real north German. I really enjoyed reading this. Looking forward to Parts 2 and 3! Live Work Germany and liveworkgermany.com are trading names of James Meads Media & Consulting Ltd.
and get a FREE E-BOOK!